Boutique events agency adds a new top-level member of staff following 'exponential growth' since 2015. 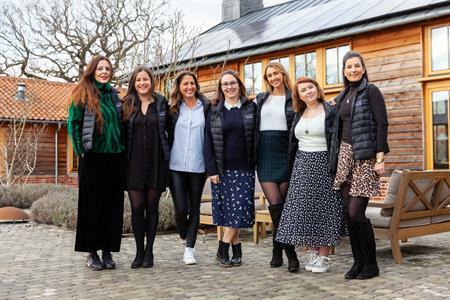 Sleek Events has recruited Amelia Hopgood as its new commercial director as the agency prepares to launch its new experiential arm later this month called Sleek Events Live. "With our experience of activations and roadshows, creating shared, immersive experiences, this seemed like the next natural step for us to take," said Jennifer Davidson, MD and founder of Sleek Events. Hopgood comes with more than a decade of experience in managing exhibitions, conferences and experiential events for clients such as SAP, AstraZeneca, HP Inc and Samsung. Davidson says Hopgood's logical approach means she stays cool in stressful situations. She said: "In the past, I’ve had to find a way to keep an F1 car a surprise for an audience despite the rowdy roar of its engine backstage, and I’ve managed an exhibition build via Skype."